4 million or so people took delivery of a new iPhone 4S within 24 hours of release. In other news, sales of the company’s iPad tablets have increased by 166% during 2011 to 11 million devices. Profits are soaring. But it’s the addition of iCloud which looks interesting to me, because the customer simply has to opt in to receive 5GB online space to back up important files on their devices. It’s turned storage into a utility and taken away the worry associated with lost or damaged devices. Long term, I guess, it may also make Apple hardware even stickier or harder to displace when it’s time for upgrade! This got me thinking; besides the fact that a large portion of the industry has still not arrived at an understanding of what Cloud might mean, what happens when a large number of people decide en masse to implement Cloud services? It got me wondering about the speed at which service providers will be able to scale supply and also about the jeopardy attached to a loss of service: We’ve seen in the last week the damage to brand caused by the Blackberry outage. Frankly, timing could not have been worse for RIM with a major competitive launch already the subject of much news. The ability to scale has been a long term issue for those designing and operating data centers; uncertainty about load has been the cause of huge sums of capital and operating expense wasted on wrong-sized infrastructure in the past. Today, in more developed markets, with more dynamic data centres, we have another challenge; how to increase or decrease supply according to customer requirements. 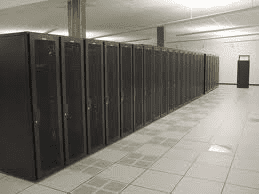 High density data centers and virtualisation are strategies for meeting demand. Obviously they require modern facilities, nonetheless the complexity of such arrangements creates difficulties when you’re trying to scale – even at a leisurely pace. In the past, if you wanted to introduce a new server, your friendly neighbourhood IT infrastructure manager would have a good handle on where there was space in one of the racks. And hopefully, adding the new piece of equipment would not create any thermal issues! But today, a new generation of IT people are looking to deploy new services and spin up new Virtual Machines without any real knowledge of the infrastructure supporting the physical devices. Like Apple’s iCloud customers, compute is a utility which they simply want to add on an “as needs” basis without having to consider any underlying restrictions to supply. In other words, add a VM without ever considering its requirement for power and cooling. Virtualisation moves the need for automation up a level; DCIM software is the technology which will enable organisations to orchestrate supply and demand in a virtualised environment. There needs to be a relationship established between the physical infrastructure and the virtual machines so that the system is not only efficiently and effectively provisioned, but so that it’s smart enough to anticipate changes in demand and adapt accordingly. DCIM facilitates just such a data centre – before we even start getting into some of the really cool stuff that can happen to protect an operating virtual environment!